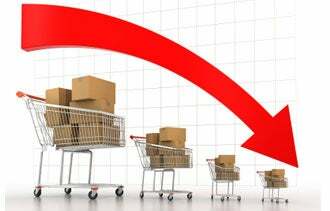 Is Your Business in a Post-Thanksgiving Sales Slump? It was heartening to see strong sales reported during the key holiday kickoff period over Thanksgiving weekend. But now comes a disturbing report that shoppers plan to holster their wallets from after Cyber Monday until the day before Christmas. The survey conducted Dec. 2 through 4 by America's Research Group found this year's holiday shoppers fell into two distinct categories. "Early finishers" -- more than 15 percent of respondents in the study -- got it all done on Thanksgiving weekend, and are now happily decorating the house and wrapping presents. Those who aren't the get-up-for-midnight-sales type are "laying in the weeds ready to pounce on last-minute deals," says ARG chairman Britt Beemer. A troubling stat: The number of last-minute shoppers is growing. Procrastinators accounted for 47.2 percent of shoppers last year but nearly 59 percent this year, the study found. That adds up to about three-quarters of shoppers staying out of stores -- both virtual and real -- from Nov. 29 through Dec. 23 or so. If this holds true, and the holiday season becomes a fractured 'hurry up and wait' scenario, business owners will surely end up fried and may miss sales too. Part of the problem could be that Hanukkah begins later this year. It's late enough that Jewish shoppers have the option to hit after-Christmas sales for bargains on that big, last-night gift. One small consolation for retailers: The holiday won't begin as late in the month for years to come. The report doesn't bode well for keeping prices up as we head into the final shopping days. And retailers may want to staff up for the final days, as there could be a crush of last-minute shoppers. Are your holiday sales slumping this year? Leave a comment and give us your on-the-ground report.